Speedonthewater.com, a website I started long before I became a twice weekly columnist for offshoreonly.com, was born out of economic desperation. That’s a fancy way of saying that in late 2008 I lost my full-time content producer gig at boats.com. A few days later, Powerboat magazine cut my monthly freelance writing retainer by two thirds. Combine that with a freshly finalized divorce and you get what was a train-wreck ending to one of the crappier years in my life. In August 2018, the speedonthewater.com test team of (from left) Jason Johnson, Pete Boden, Shaun Torrente, Grant Bruggemann, Matt Trulio, Bob Teague and Jared Powell tested evaluated six sport catamarans for a roundup that appeared in the September/October issue of Speed On The Water digital magazine. Problem was, Google did not and does not look kindly on aggregated content sites when it comes rankings and search results. So while it seemed like a good idea at the time—we did not know what we did not know back then—boatermouth.com was done by the end of 2010. But speedonthewater.com survived, which was a good thing as my boats.com and Powerboat magazine gigs continued their steady decline. Powerboat continued to reduce my monthly retainer and boats.com knocked me down to just two $500 columns a month. See what I mean by economic desperation? I wasn’t kidding. And so speedonthewater.com had its first advertiser. But the most wonderful thing of all happened when Jason Johnson joined speedonthewater.com as co-publisher in early 2012 after the sale of Powerboat magazine, where he was the editor, in late 2011. (In 2012, Johnson and I also began contributing to offshoreonly.com.) In relatively short order, we began producing online content five days a week, and that eventually gave way to publishing seven days a week. 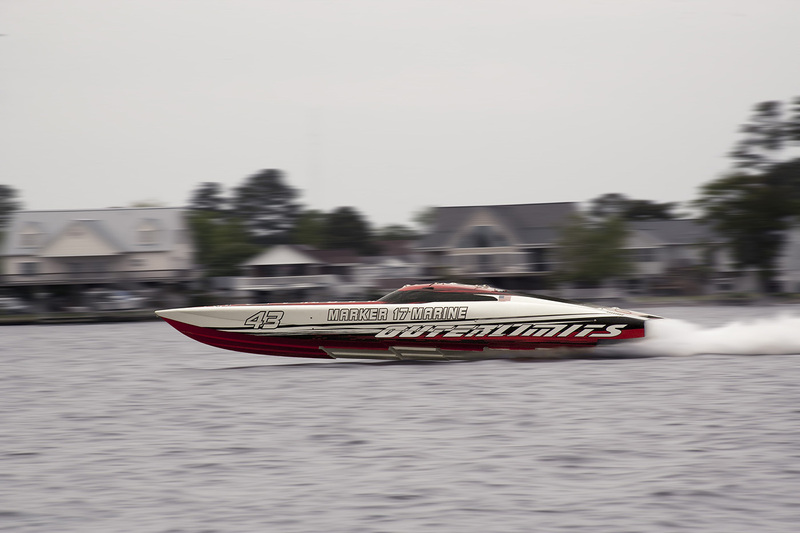 In early 2014, speedonthewater.com was on scene in North Carolina for the Outerlimits V-bottom kilometer speed record and broke the story. Knowing that daily content refreshment was a first in the go-fast boating world and that readers of a certain vintage might struggle to keep up, we developed a digital weekly newsletter—one that actually aggregated a week’s worth of speedonthewater.com-published news rather being a vehicle for shameless self-promotion, as most electronic newsletters in the high-performance powerboating media world tend to be. In May/June 2013—the same year we incorporated—we released our first bi-monthly digital magazine. In January 2016, we published our inaugural Speed On The Water Year In Review (2015) collectible print edition. Earlier this week, the 2018 edition—up to 196 oversized pages from its original 132-page size—went to the printer. By the end of the month, issues should begin getting into the hands of advertisers and readers. Photographers including Robert Brown, Jay Nichols and Tim Sharkey contributed early to the site and made it that much better. But no one contributed more or worked harder at his craft and in the field than freelancer Pete Boden, who became our chief photographer. And that pretty much bring us up to the present. In early November, speedonthewater.com will celebrate its 10th birthday. Johnson and I know we are far from perfect, but we also realize we’ve built something unique and valuable in high-performance powerboating world. And none of it could have happened without you, our readers and advertisers. Last week, to celebrate the completion of our 2018 Year In Review edition, we headed to Colorado for a few days to ski with Fred Kiekhaefer, the former head of Mercury Racing and a dear longtime friend of mine. Kiekhaefer has a beautiful place in Vail and he’s been inviting me to come back to Colorado ever since I skied with him 15 years ago at Beaver Creek, where he also had a second home. 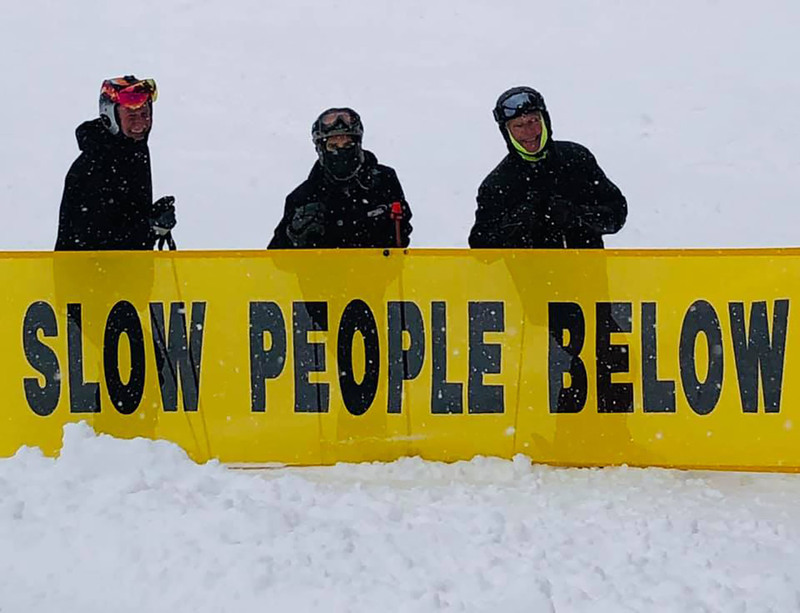 (From left) To celebrate finishing the 2018 Year In Review print magazine, speedonthewater.com’s Matt Trulio and Jason Johnson hits the slopes of Vail with former Mercury Racing head Fred Kiekhaefer. Praise doesn’t get any higher, much less come from a more discerning source. Don’t worry, we won’t let it go to our heads. We know we’re only as good as our last story. A milestone anniversary doesn’t change that. Still, it is something to celebrate. With almost 6,000 stories published and more publishing every day, the exact details of how speedonthewater.com evolved can get bit a fuzzy at times. But we’re damn sure glad—and grateful—to be here.